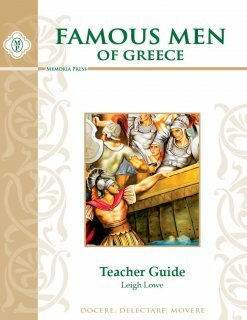 In addition to introducing your child to the classical stories and people of Greece, we highly recommend these flashcards to improve your child’s recall as he or she explains and remembers the famous events, stories, and people that have shaped history and Western civilization. 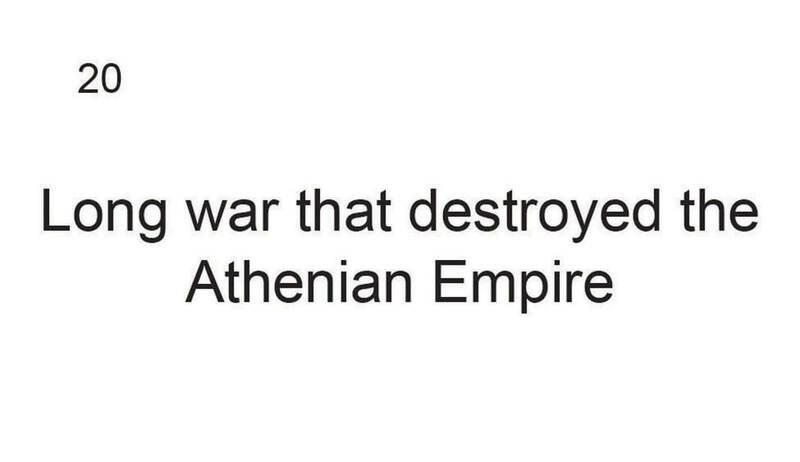 Who made Sparta the greatest military state in Greece? 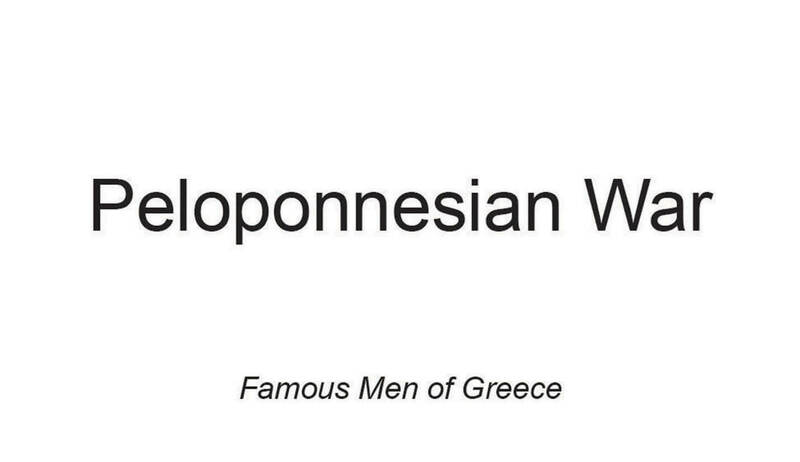 What was the Peloponnesian War? 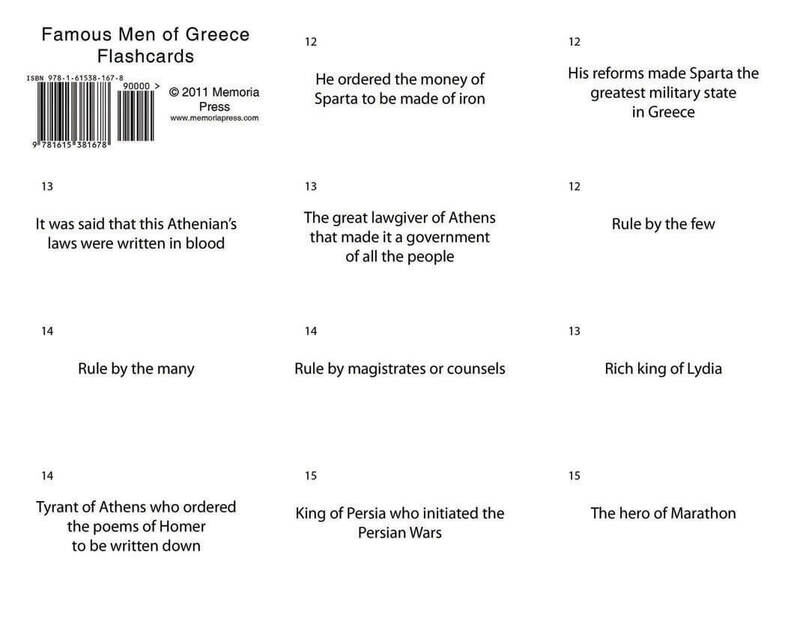 You can be sure your child will know and remember these important facts, and more, with Memoria Press’ flashcards. 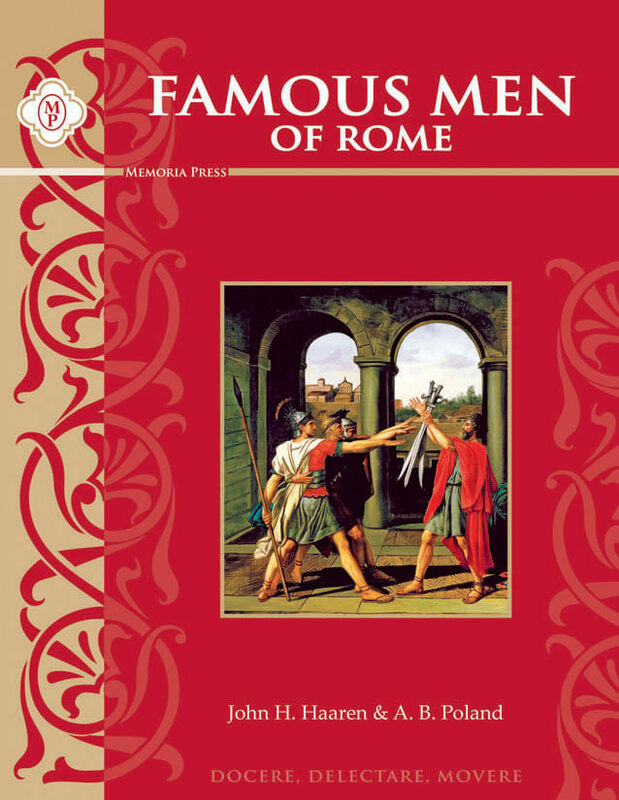 You can purchase sets made for each Famous Men book series, as well as D’Aulaires’ Book of Greek Myths.